Great opportunity to find ground floor unit at Riverbend Condos! 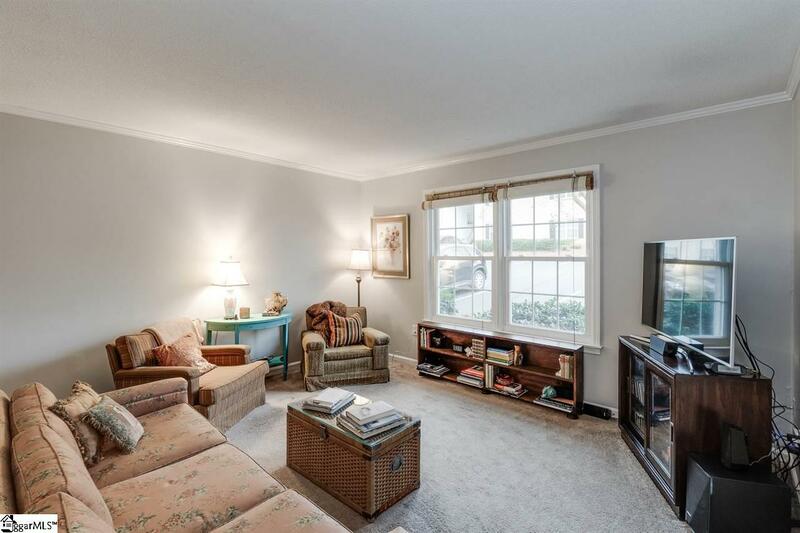 This wonderful 2 Bedroom 2 Bath main floor condo is located in rear of Riverbend overlooking lot of trees and the river. 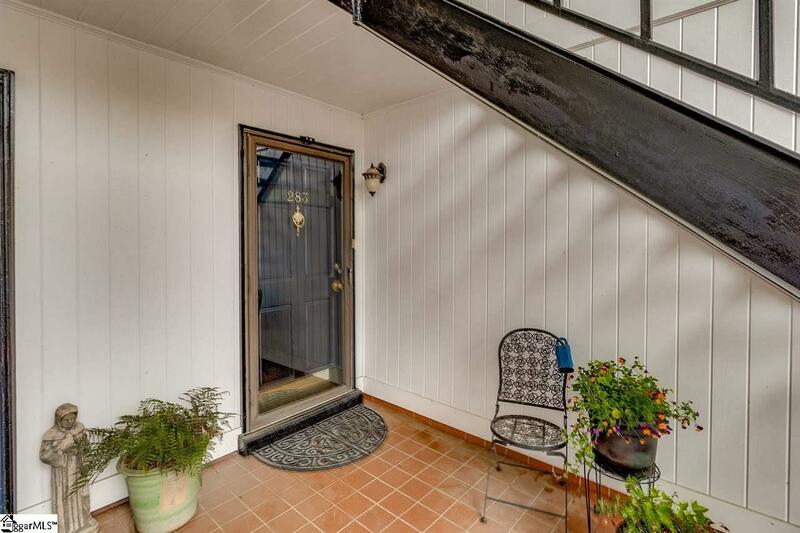 Easy to walk in from parking lot with no steps! 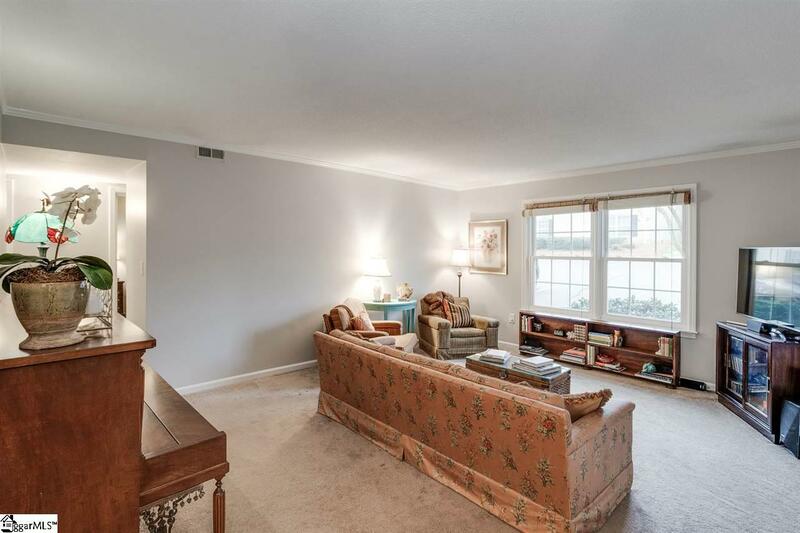 Large Living Room, Dining Room PLUS Sunroom off the Dining Room and Kitchen. Kitchen has been recently redone, with new cabinets, LG Hi-macs solid surface countertops and wood floor. Even, a cozy eating space in kitchen!! Seller has done many updates throughout her ownership; including new windows, remodeled hall bath, new HVAC and new hot water heater. Recently painted interior. Great closet space. Dont let this one get away, as it is hard to find!! 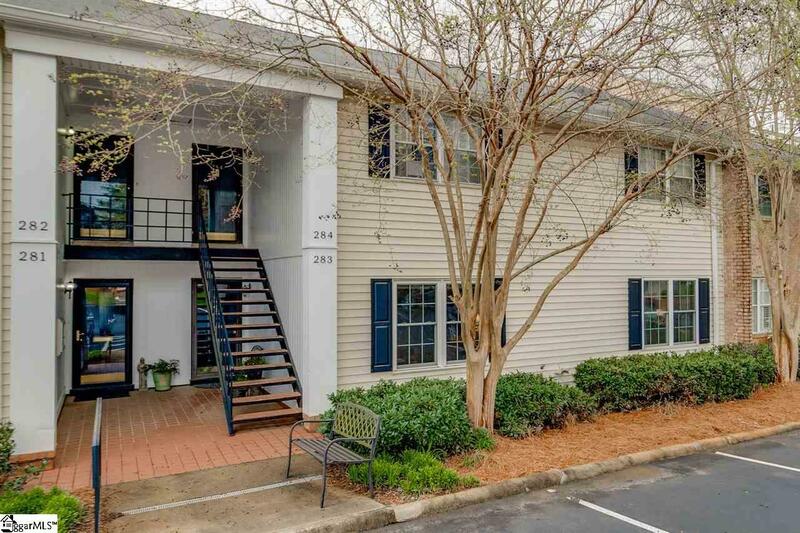 The amenities at Riverbend are awesome; club house, pool, exercise area, tennis courts, street lights and gated community all in super location near Swamp Rabbit Trail, Augusta Road and Downtown.